Although I'm a firm believer in Equal Rights, what we have just experienced by a cobbled group of Feminists, Gay Rights Groups, Abortion Rights Groups, The Entertainment Industry, Anarchist, Socialists and probably every Democrat woman who didn't vote for Trump was about HATE. Mind you, a vast majority of the organizations that participated have, or are now funded by George Soros. The icing on their cake was to Ban any Pro-Life group from participating. 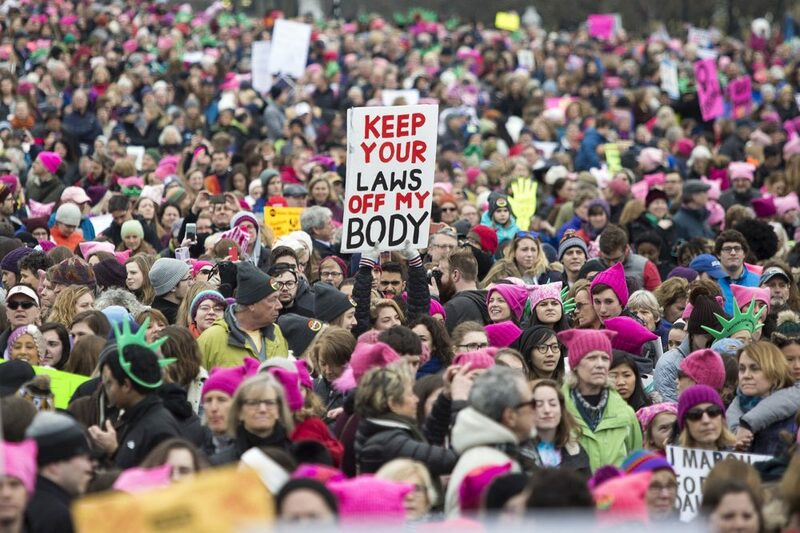 It might have been properly called "Some Women's Rights March." The Organizers of this march had their message prominently displayed in every speech and many placards, We Hate Trump! Let's be clear, Abortion is legalized Genocide against the helpless forming fetus. Otherwise commonly accepted as the Creation of Human Life. For most of human history the act of creating life was held sacred to all but a few. Promoting secular narratives has been the linchpin to a less spiritual existence void of consequences for bad personal actors and behaviors. As for the mis-informed and unaware younth, any form of self control is a direct attack on their newly found autonomy. It's why they are easily led by false leaders worldwide. The right to equal pay, or free health care has little to do with what women have actually won in their valiant efforts for equality. They have won the respect necessary by a socialized community to be leaders. Abortion doesn't promote that narrative. Self Respect does. I for one, can attest to the enormous positive effect women have played in my life at every stage. Where is the man that doesn't have unconditional love for his mother, and mourns her passing with every day of his life without her? Woman have, and always will be the common threat that keeps human beings tethered to what's best about us. Their special qualities have turned humanity from being predatory and self interested. At least that's how it was. Like it or not, gender plays important roles in society for different reasons. I can attest again, that any kindness and forgiveness in my behaviors come from Mom who tutored me through every initial personal experience in my life, and Spirituality that taught me life has a purpose that matters to us all. What irks me regarding the marches is the exclusion of common sense, and the infusion of irrationality. The same irrationality offered to the American voter by the left. These marches only punctuated that the right person won, under the rules by which elect presidents. Hating Trump isn't how I would expect my mother to react, and for that matter my sisters. Where is the Love I hear so much about from the Left. I suggest my fellow country men and women start looking in the mirror. It takes those Special Qualities to Heal.